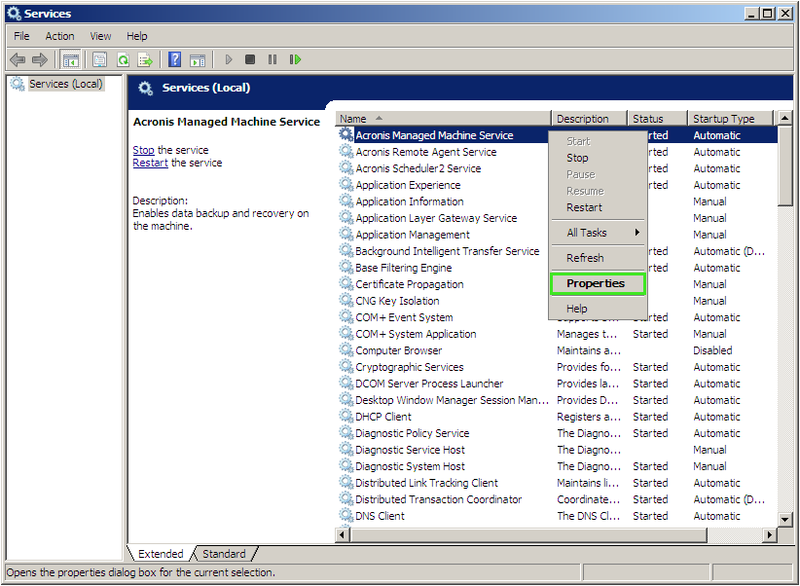 Do not use Local System account to run Acronis Managed Machine Service. The Local System account is a predefined local account used by the service control manager. 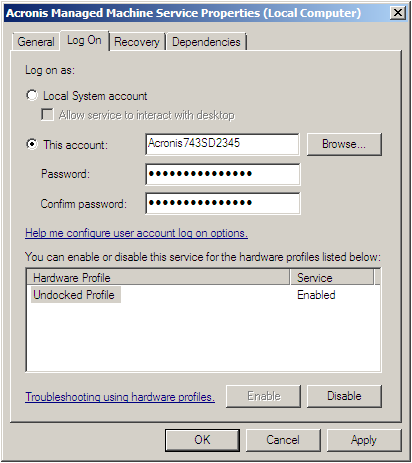 This account has extensive privileges on the local computer, but has very limited privileges for network access. See MSDN article The LocalSystem Account for more information. (!) 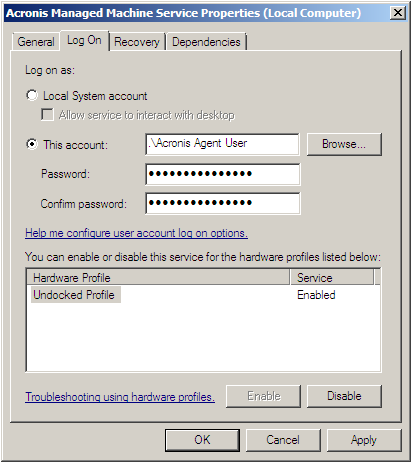 You can only change the account from Local System to the account under which the service was initially installed. If you would like to change the account to another user, which was not specified during the product installation, such as a service user, then you should reinstall the product and specify the new user during installation. During product installation, the necessary permissions are set for the user that you specify: the third user might not have these rights, which could lead to incorrect product behavior.